A little too long (9:59) for my tastes. 50 greatest quotes would have been better. I was wondering, do you offer email training? I basically wanted some broad guidance on training strategies and to ask specific questions now and again. P.S. 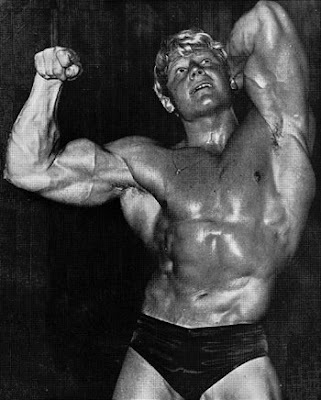 Your arm blast routine from Bodybuilding.com that you pointed me to is phenomenal. Maybe it's just the pump, but I'm measuring 16 inches compared to 15 inches before - after just 2 trainings! My Answer: Glad you like the program, Steve. With regards to online training, I've answered this question before. My main issue with online training is that my time is rather limited at the moment. If I were to do online training, then I'd want to make sure you get very detailed programs and training advice. This blog takes some time and effort already, so if I were to train you and others online, then I'd be giving you more pertinent information, more knowledge. One Set Once a Week? Q: Have you seen/heard about the book "Body By Science"? It claims the best workout is a once a week, full body workout that includes ~5 exercises performed one set each to failure. My Answer: The book's written by John Little and Doug McGuff. 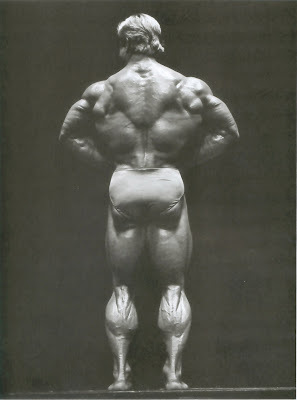 I haven't read the book, but I've been in the Iron Game long enough to know John Little is a disciple of Mike Mentzer who was a disciple of Arthur Jones. A full body workout once a week consisting of one set to failure for each exercise smacks of High Intensity Training (HIT). I am briefly writing to you in regards to your post-exhaustion training example that you have provided in a Bodybuilding.com article. The example you have given is a two day workout: one upper body and one lower. My question to you is: what is the weekly routine like for this workout? For example, would it be best to perform day 1 and day 2 and then take one day off and after the day off perform days 1 and 2 again? My Answer: Yep, that's perfectly fine. Two days on, one day off. The other option if you want your weekends free is 2 days on, 1 day off, 2 days on, 2 days off. The 2 days off being Saturday and Sunday. Today my work mates and I have embarked on a silly competition. We measured biceps today and in 3 months we will award "the winner" - the person who makes the biggest percentage gain. My colleagues are 10 people and are all starting from somewhere in the range 12-13.5 inches. I am starting at 15 inches and weigh 100kg (220 in your language?). I know that doing this is silly... however for a while now I have felt (strangely enough) that my biceps are my weakest point, and I so wouldn't mind giving them a good blast over the next 12 weeks. I don't know why I never ordered Tactics & Strategies. Your other two books are great. I've been on a 5X5 kick lately, so I'm hoping I can learn how to diversify the workouts while still focusing on maintaining and gaining strength. Sticking to your principles to the letter has helped me improve immensely. When I started lifting over two years ago I was 125 pounds and now I'm over 170. At one point when I was drinking a gallon of milk a day I was over 185. 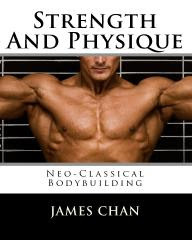 What I'm trying to say is that reading your books helped me understand what I needed to do to gain [muscle]. My dedication plus your expertise really worked out well for me. I also wanted to say congratulations on becoming a father, and I hope you have a happy and healthy family! My Answer: That's awesome dude! Going from 125 to 170 is a major feat. I'm proud of ya. I read your hardgainer workout article with the 10-8-6-15 recommendation. I increase the weight each time (decrease for the 15). This is a good idea isn't it? How else will I push my body to get stronger if I dont increase the weight? Tell me what you think. OR should I keep the 10 and 8 rep sets the same weight from workout to workout but push myself on the 6 rep one? Then eventually increase the 10 and 8? I want to try to increase weight every workout, so I don't plateau. I am a hardgainer and want to get big with solid muscle. My Answer: I thought pyramid training was pretty clear, but I guess I need to keep reiterating this. Yes, increase the weight from set to set (with the exception of the 4th set of 15 reps, where you decrease the weight). Increase the weight slightly every workout. I'm a regular reader of your blog and first of all, I have to say, you do a great job with it. I'd just like to pick up on a couple of things you said in response to a recent post about the type of training someone should be doing as a skinny-fat guy. You recommended dropping jogging as it raises cortisol levels, cutting out carbs as much as possible and using weight training to simultaneously gain muscle and lose fat. How do shorter (20 minute) HIIT running sessions affect cortisol levels? I wouldn't like to cut cardio out of my training to be honest, as I like the way it makes me feel. I'm interested in having a good level of cardiovascular fitness as well as muscular strength. Is it really possible to gain muscle AND lose fat at the same time? Many say it's either one or the other and to gain muscle you need a calorie surplus while to lose fat you need a calorie deficit. The two are therefore mutually exclusive goals. 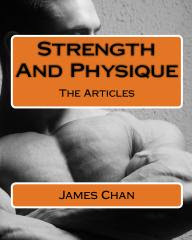 Q: First let me say your writings are excellent, the rare kind of bodybuilding articles which are both well-written and useful. It is ironic I found your blog, since you work in the UC system which my father and 2 brothers are part of and I feel a connection to, but am currently halfway across the world! I am 25 and have been in and out of gyms for a few years, but have been seriously working out for about 18 months now. I have been doing 4-5 days a week and focusing on one body part per day (your favourite! not really), and sometimes I would switch to full body workouts. 1. As I decrease the reps (10-8-6-15), do I have to add weight? How big is the increase in term of percentage? 2. I know this sounds cliche, but how long can I expect to see some growth in my overall appearance? Purely for motivational purposes, hehe! 3. If the answer to question #1 is yes, then how much weight I should use in my last set (the 15 reps set)? I mean is it gonna be lighter than the weight I used for the first set (the 10 reps)? My Answer: Yes, you do have to add weight with each set. Here are the official percentages. 1) Your strength levels fluctuate from day to day, hour to hour. 2) Percentages vary from individuals. So while one person might be able to do 20 reps with 60% of 1RM, another person might only be able to do 12 reps.
"How do you do? I am a follower of your blog, and I am considered new to bodybuilding as I started last year. "I am an ectomorph (initial status 178cm, 62kg) and gained some mass (now weighing 68kg) from my workout. I have noticed some improvement on the size of my muscles, but there is one thing that never changed in me. I still have that 'skinny-fat' look. I don't see my abs except for a vague 2-pack below my chest. I find that my stomach area has thicker fat deposit, and this makes me look like I have a belly even though I am skinny. "I workout my abs whenever I do my cardio. I think the problem has got to do with cardio. I do cardio twice a week (about 30 minutes). I just jog slowly, not doing any sprinting or HIIT as I am concerned that it might consume my muscle mass. "Besides, I find that I am weak when it comes to strength. Until now, I could hardly perform a complete pull-up and triceps dip. Q: "I was recently selected to be a PT instructor in our academy. 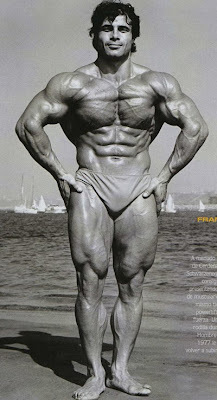 I found an article you authored at Bodybuilding.com regarding training received in the academy. Man I was excited when I heard you mention most of the reasons I became an instructor. Like who really cares if the recruit can run six miles at under 9 minutes miles. I am working hard to train our new recruits in a different manner, just like you mentioned, a short foot pursuit and then a fight. I am looking for ideas on how to set up these type of workouts with so many people at one time. We started our academy today with 37 recruits. We do have a weight room, but still its hard to get them all on a machine at one time and keep them busy. If you have any ideas you could share with me I would greatly appreciate it. I want to be successful, and I want to feel like I really help these recruits in their new jobs. 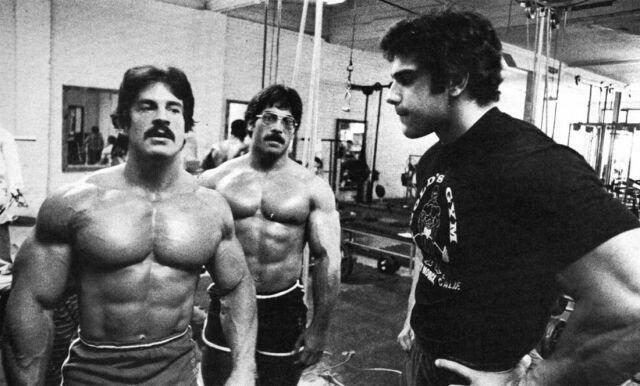 "I'm a hardgainer, and I've been looking for the most effective program for my body type. I found your pyramid program, but it seems like it would pretty easy to plateau. What should I do to avoid this?" My Answer: I was pretty clear about how to avoid plateaus in the Q & A section of the free PDF Hypertrophy Training for the Ectomorph. 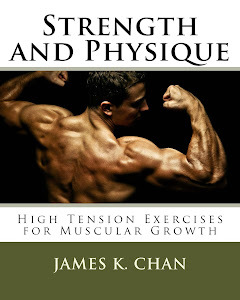 If you haven't received the PDF, then you can receive it once you subscribe to email updates for Strength and Physique. With regards to training plateaus, the bottom line is that ALL programs will lead to a plateau. People try to avoid plateaus by engaging in "muscle confusion," where you purposely switch things up. 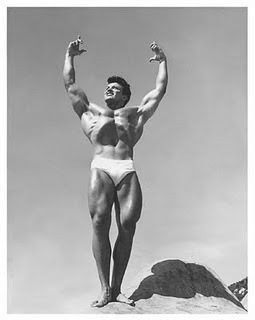 By the way, the concept of muscle confusion was not invented by the creators of P90X, nor was it invented by Joe Weider. The concept has been around for a very long time, before any of us were born.